Rubina has Parkinson’s disease. 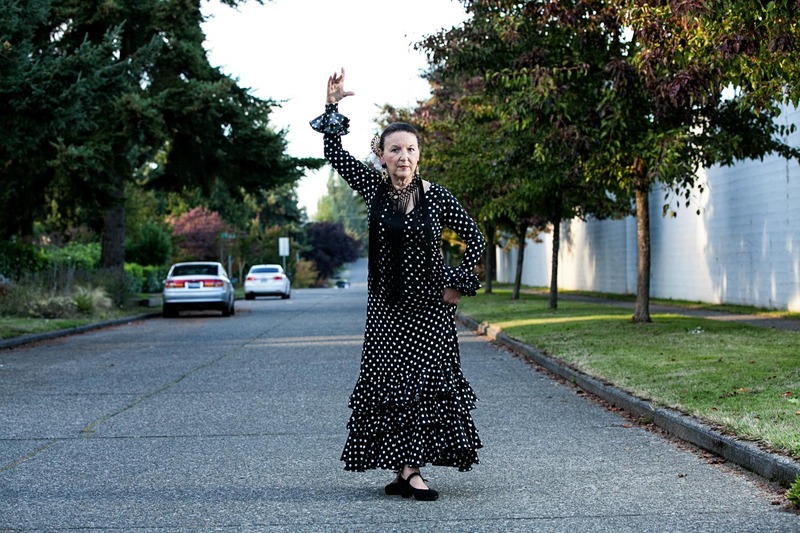 On a street near her home, in the community in which she has come to be a leader, she moved through her flamenco poses with neither the strength nor the power she’d had in earlier days, but with a presence that defied and transcended physicality. She danced because she still could. I started dancing in high school. They offered modern dance instead of PE and I took advantage of it. I took ethnic dance in college¾Balkan and Greek. I discovered flamenco when I was at San Francisco State College. I wandered down the hill from where I was living one night to the old spaghetti factory in North Beach. I got the flamenco bug then and there, and started taking lessons. Highlights are my trips to Spain. I went for the first time in 1965 to ‘66. I studied in Madrid with Mercedes and Albano Leon, who were very famous instructors. They also sent me to Bernardo de Los Lobitos, who was my first cante teacher. I became a singer/dancer. I’ve always been just as interested in the vocals as the dance. I met my husband Marcos in San Francisco and we started performing together. We went to Spain in 1970 to ‘71 and spent about a year in Morón de la Frontera, a small town on the hippie trail, as it were. A lot of people on their trips to Europe and Afghanistan stopped through. After about nine months we went to Lebrija and Utrera for a different perspective. 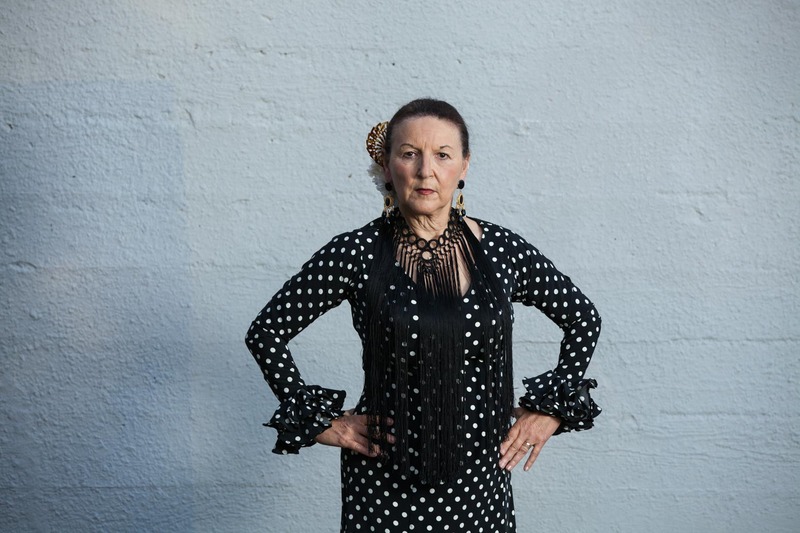 We came back to the Bay Area in 1971 but went back to Spain the next year, in 1972, to Sevilla, studying every day with Matilde Coral who’s the doyenne of flamenco dance in Sevilla. We went professional at the Feria de Sevilla of 1973, and worked professionally from that time forward. We came back to the States and moved to Los Angeles. The flamenco scene in the Bay Area was a little cliquish at that time, and we were supposedly too commercial. So we took our purple eye shadow to Los Angeles, which was a very good move for us. We went to Spain again in 1978, this time to Madrid. And then in 1988 we moved to Seattle to raise our family. Each time we’ve been to Spain, we’ve had a little different perspective. We’ve been as tourists, aficionados and as professionals. I started developing Parkinson’s disease in 2007 and was diagnosed in 2010. One of the most important things to do if you have Parkinson’s is to exercise. I have an exercise bike I get on every day. I also do my flamenco warm-ups, especially the arm work. I don’t do much foot work because my feet just don’t want to do it. But I use my music and steps through simple tasks each day. I also work with students as a consultant. One of my students recorded all of my choreography from over the years so I have a whole library. Students can borrow and take ideas, and I can help them structure their choreography to fit in with the rest of the musical elements. I fell in love with the music of flamenco. That was the motivating factor. That has pretty much stayed the same. My husband and I just fell in love with the art form. We’ve gained an understanding of another culture through that. I became so fluent in Spain I came home and became a Spanish teacher. I developed several adjunct professions alongside dancing; aside from teaching Spanish, I also design and make costumes for myself and others. Flamenco has led to many things. To me, being successful is having a happy and fulfilled life, and I’ve definitely had that. I never wanted to be a star. That was not one of my ambitions. But I wanted to have a home and family and carry on a normal life, which I know is very difficult for any dancer, anywhere, at any time. I’ve succeeded in having it all in the sense that I do have a lovely home and happy family, and I’ve had a successful local career. We consciously decided to make our career local after we had kids. I met some people trying to homeschool their kids in a van in Spain and I thought to myself, no that won’t work for me. What I’ve done in the Seattle flamenco community is, I’ve taught people to be a little more empowered. I’ve taught them how to move and work with the music. I want people not to be afraid or intimidated by the art form. There are quite a few people in Seattle who are professionals or emerging professionals thanks to me and Marcos. That’s how I see my legacy. Considering your onset of Parkinson’s disease, do you see yourself continuing to dance for the foreseeable future? I’m going to keep moving as long as I can. It comes down to charisma and presence. The dance becomes subtle. Less becomes more. When you’re young and dancing or playing the guitar, you throw in as many things as you can possibly think of because you can. And then as you develop you hopefully mature. Both push the envelope and dig deep. Go and do all the things you want to do. Learn as much as you can. Get as much technique as you can. Dig deep into the roots. Have an appreciation for what’s on the cutting edge but have an even deeper appreciation of where it developed from. The thing about flamenco in particular is that the bar is technically very high right now. But there are always people coming up from small towns who practice the old-fashioned way they learned from their families. There’s an ever-renewing wellspring of tradition from Spain. On the other hand, flamenco’s become an international dance and music form because people from all over the world love it so much. 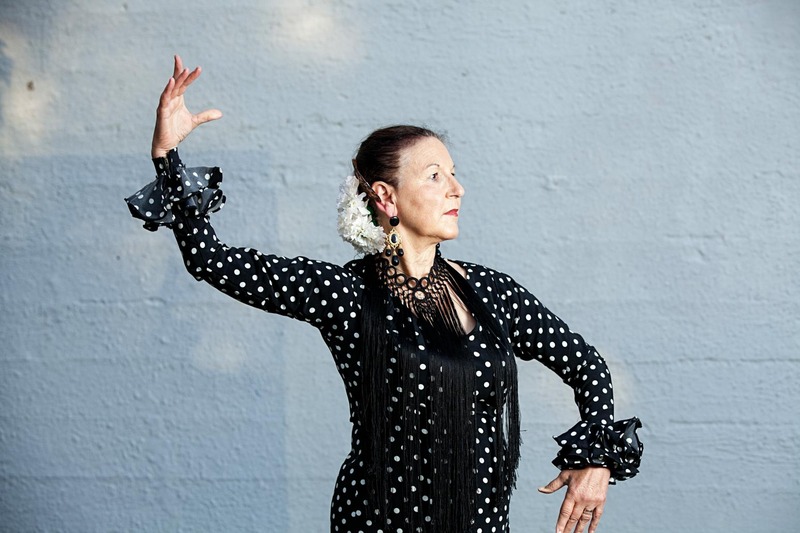 Rubina Carmona has been performing and teaching flamenco with her guitarist husband, Marcos, since the late 1960s. She lived and worked professionally in Spain for nearly four years during the 1970s and in Los Angeles until 1988, before relocating to Seattle. 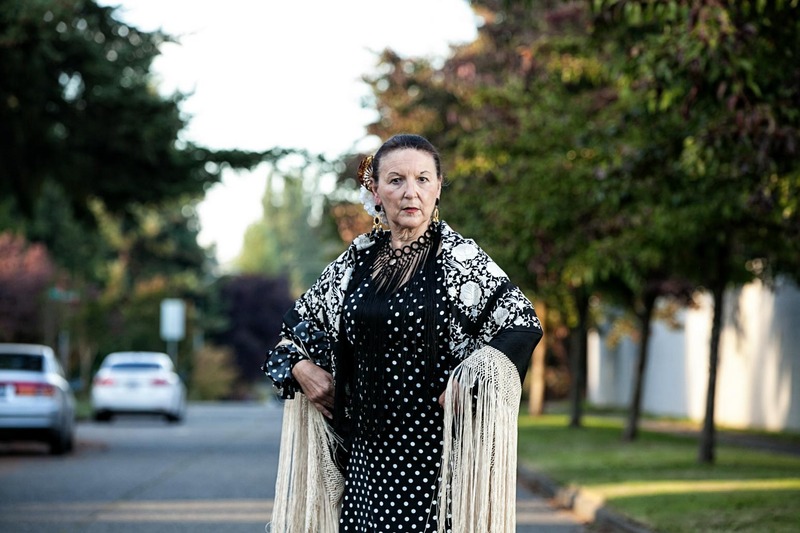 She has been the flamenco instructor at American Dance Institute since 1991, and was a Spanish language instructor at NW Yeshiva High School from 1990 to 2004. 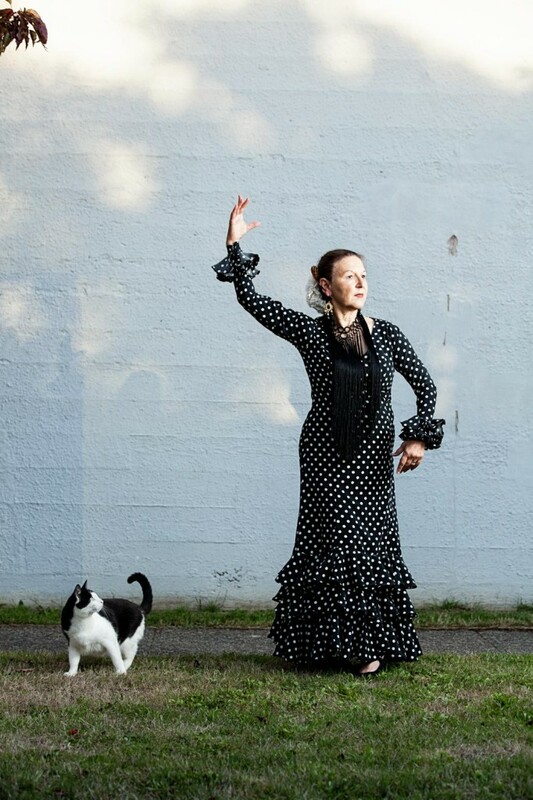 Although retired, she continues to teach and perform as a singer, and to produce flamenco events in Seattle. Note: Shortly after this interview was conducted, Rubina was given a change of medication, and her mobility is so improved she’s begun to teach and dance again, albeit at a simpler level.